You know what I love about this life of perpetual travel? That amazing feeling when we arrive somewhere new and instantly fall in love. This feeling often goes beyond the perfect site with a killer view (although that certainly doesn’t hurt). It’s a feeling that has deeper roots. A feeling that we are welcome and at home the moment we arrive. 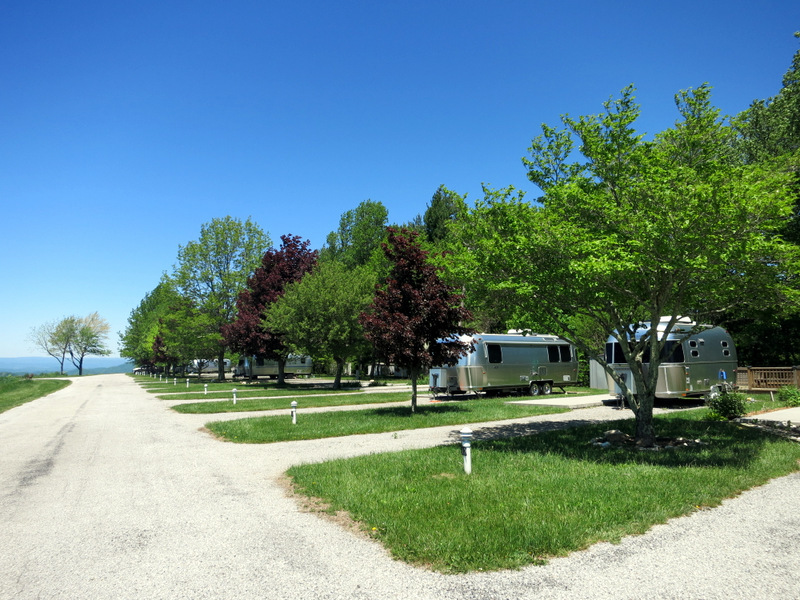 I don’t know if it was the gorgeous views, the rolling hills and winding roads reminiscent of our previous home in Vermont, or the fact that we were about to spend a week surrounded by our favorite shiny trailers, but that’s the feeling I had when we arrived at the Highland Haven Airstream Park. We pulled up the twisting driveway and stopped by the host site to check in. Here we met long time park members, Douglas and D.A., who greeted us by name gave us a choice of sites. 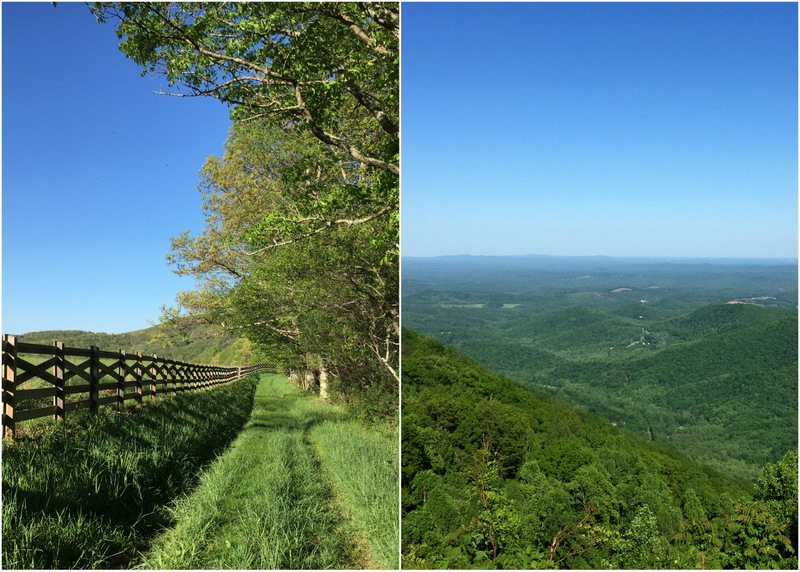 Frankly all the sites here are nice, but we were happy to choose one near the end of the “runway” with an awesome view of those gorgeous Blue Ridge Mountains. 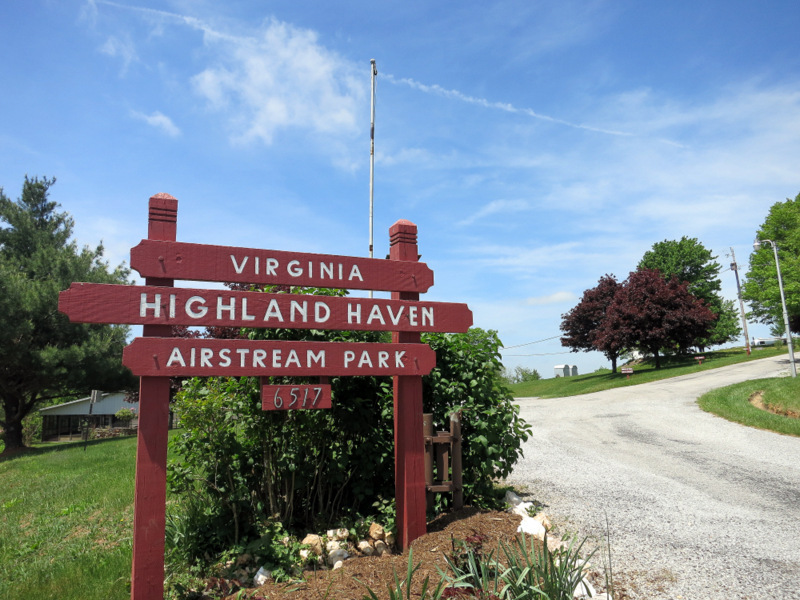 If you haven’t guessed yet by the name of the park, Highland Haven is an Airstream only park. All of the sites are owned by shareholders, and when unoccupied are rented out to people like us. Unlike some of the other Airstream parks around the country, Highland Haven has a pretty strict Airstream only rule. Other brands of RVs are welcome, but they must be invited by a share holder, and even then they can only visit when the shareholder is at the park. If you own an Airstream chances are you love this place already, and if you don’t, you may be thinking that the whole idea sounds kind of elitist. And you might be right. But here’s the thing. 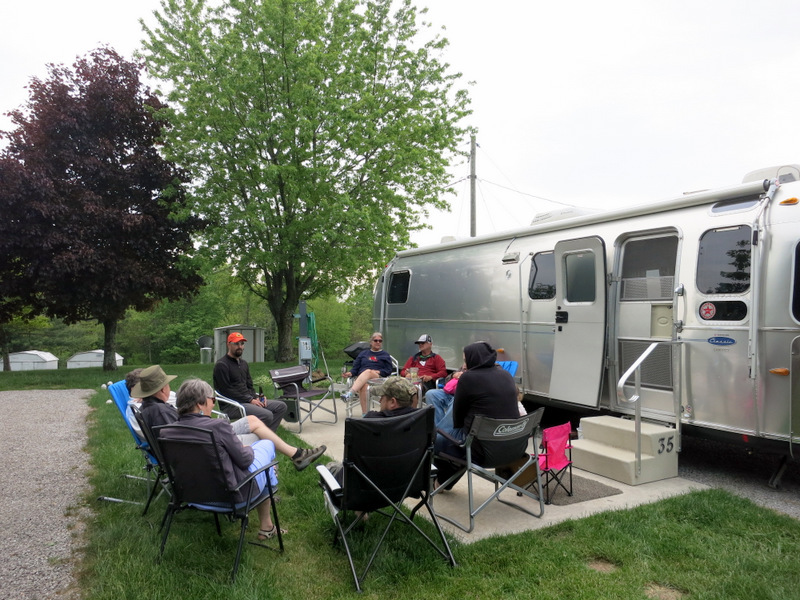 The Airstream brand has a long standing tradition of community, and Airstream only parks are a great way to bring this community together. 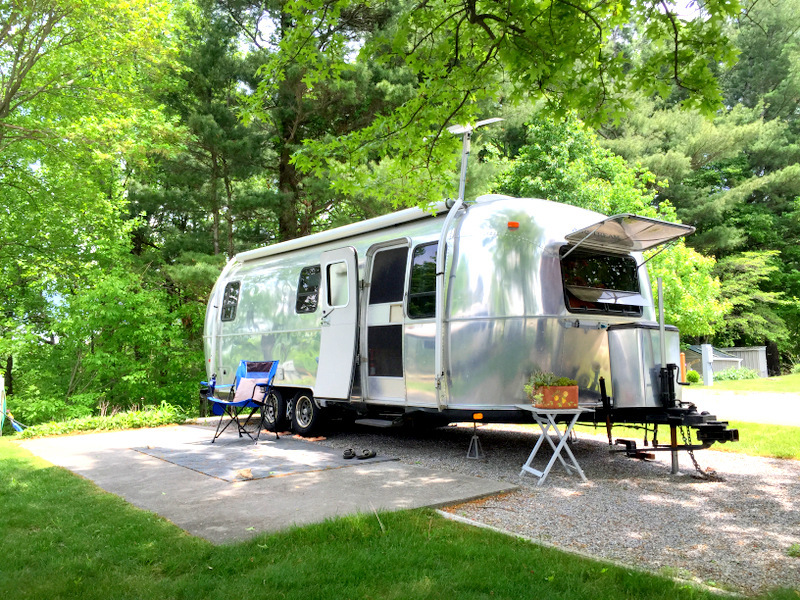 If you think of it that way, then the idea behind an Airstream only park is less about inclusion, and more about developing community and continuing a decades old tradition. That sense of community is alive and well here at Highland Haven. Even though they just opened at the beginning of May and the park was mostly empty all week, the hosts made an effort to gather us all together on a nearly daily basis. Starting the very first night when we were invited to a Mother’s Day celebration of cake and ice cream in the club house. How could we say no to that offer? On subsequent nights we gathered round for several informal happy hours, and at the end of the week we were all invited to go out to a local restaurant for dinner. Even though we were of different generations (all the way from a family traveling with an infant, to some couples deep into retirement), and from different countries (including a couple from Japan and another from Quebec), we couldn’t help but feel a sense of camaraderie and community. The park itself is very lovely with gravel sites, cement patios, full hook-ups, and plenty of trees and grass. Not to mention some pretty incredible views of the surrounding mountains. Especially in the evening when we were treated to a nightly show in the sky of yellows, oranges, and purples. We also somehow managed to time our visit to coincide with a brand new to full-timing family. We’ve followed Mike, JorDanee, Alexandra, and now Cassandra (who just turned 2 months old) on Instagram for the past 6 months or so (maybe longer) as they pursued their full-time travel dreams. This is only their second week of full-timing, and we feel fortunate to be some of the first full-timers they have met in person. Mike and JorDanee are really into hiking and enjoying the outdoors, which naturally led to a few group hikes. The first was down to the waterfall on the property of Highland Haven. It’s not very full of water at the moment, but it made for a nice hike through the forest. Another afternoon we headed down to the Blue Ridge Parkway where we hopped on the Black Ridge Trail. 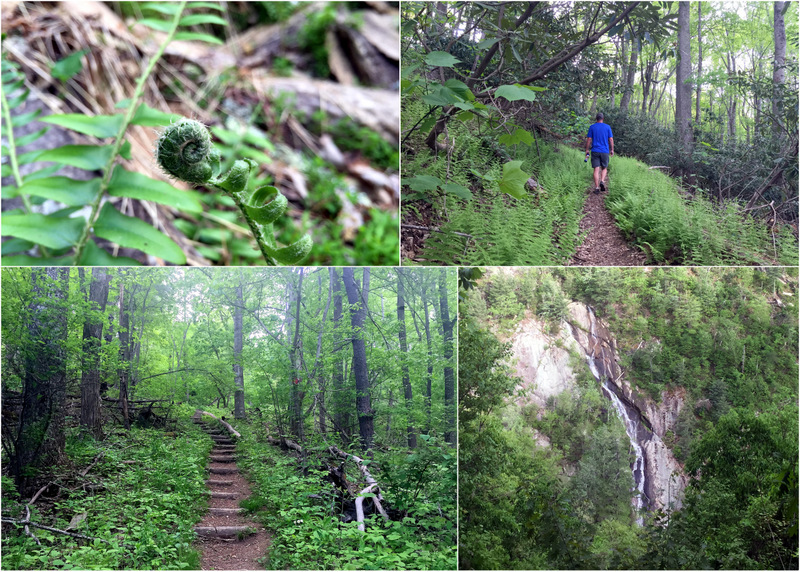 This trail wound up through a forest, along a high ridge with views of the Rocky Knob Gorge below, and back down through a meadow. 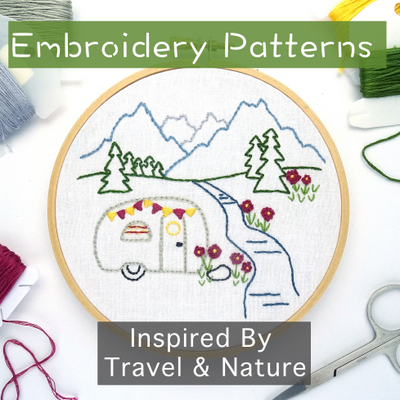 As much as we have been enjoying our tour of the coast, we are also thrilled to be back in the mountains surrounded by trees…and so much greenery. Lucky for us there are no bugs out yet, and the the humidity has been very low this week, which meant perfect weather for hiking. 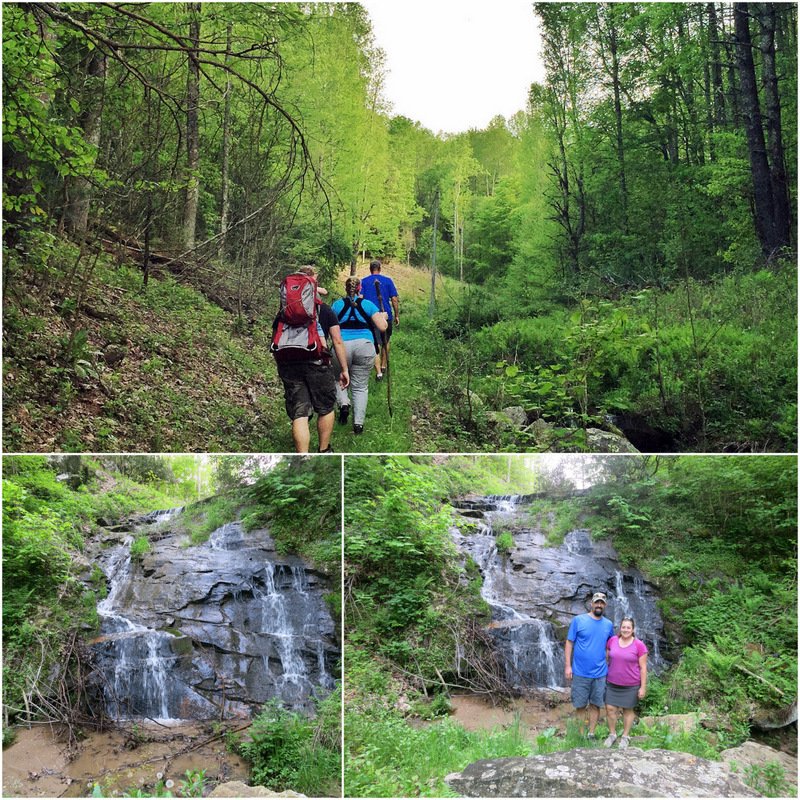 We took advantage of our proximity to the mountains this week and drove over the Bottom Creek Gorge Preserve one evening. Here we hiked a four mile loop though the trees to an overlook with a waterfall in the distance. 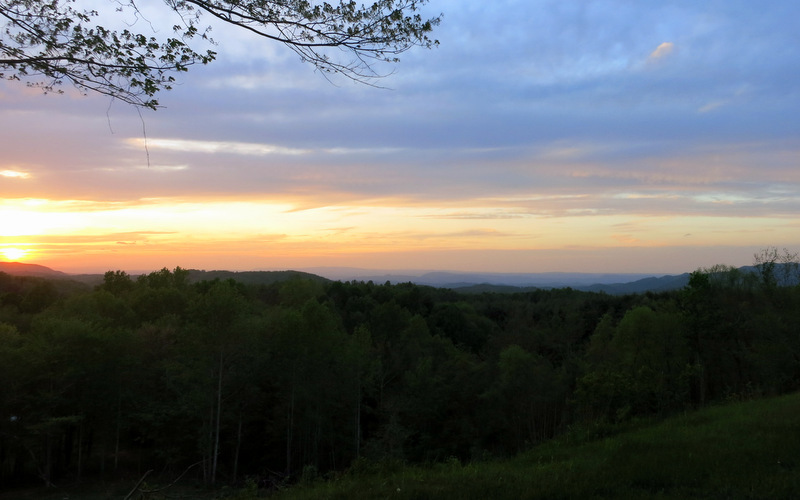 Not to be outdone by all the hiking, Highland Haven also happens to be located near the funky little town of Floyd. This tiny town in the middle of nowhere Virginia, is home to an eclectic mix of hippies and old timer Appalachian folks – with a huge slant towards the hippy side of things. 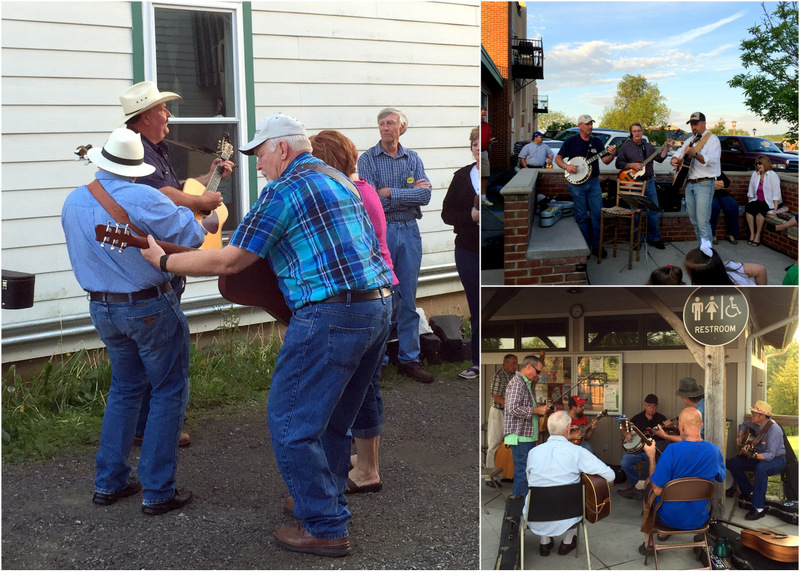 One of the things this unlikely mix brings to the town is music. 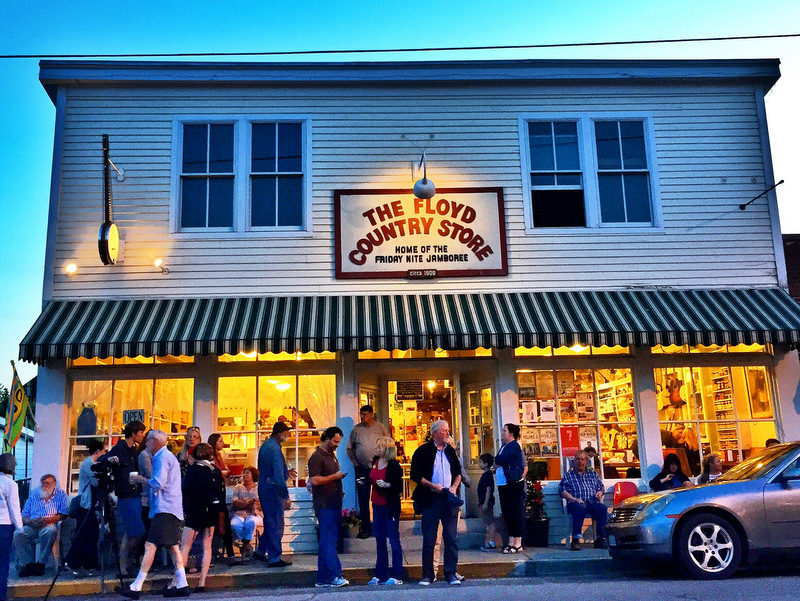 Over the years Floyd has developed a reputation as a destination for bluegrass, Appalachian, and classical music. There are several music festivals held in the area, including the well known FloydFest, Floyd Yoga Jam, and Virginia’s Blue Ridge Music Festival. 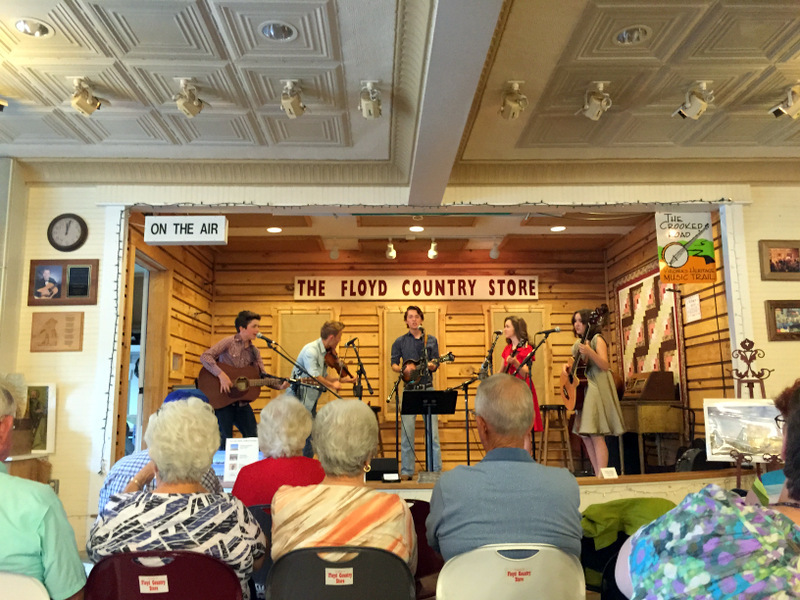 On a smaller scale, every Friday night the Country Store in downtown Floyd holds a Friday Night Jamboree. For a $5 entry fee you can join the locals (many who are not shy about dancing and clogging) and listen to some awesome live music. This event it incredibly popular, and by the time we arrived the crowd was bursting out the door. Instead of pushing our way through, we choose to wander the streets and listen to a the groups of musicians who had gathered in the streets for some jam sessions. We made a second trip into town on Saturday for the first of the season farmers market. It was a packed with people milling about drinking specialty coffees, ordering freshly made crepes, and loading up on tomato plants and locally raised meats. For a small town the market was pretty happening and we ended up with a full bag of early season veggies, along with some delicious freshly baked bread. After the market we wandered over to the Country Store for lunch. We arrived just in time to catch another live music act. This time is was a talented family of siblings from Ohio. Sadly, our time at Highland Haven has come to an end. As much as we were tempted to extend our stay, our plans to attend a large music festival in Maryland next week meant it was time to head north. Highland Haven is definitely a special place. I completely understand why so many Airstreamers have chosen to own a little piece of heaven up here in the mountains. I know I say it all the time, but once again, we will be back! Looks like a neat little town, love all the music. Your description of the town (hippies and old appalachians) makes me think of Marfa, TX with its combination of artists and farmers (though I’ve never been there). I do love a town with a hippie vibe! I also love a town with hippy vibe! 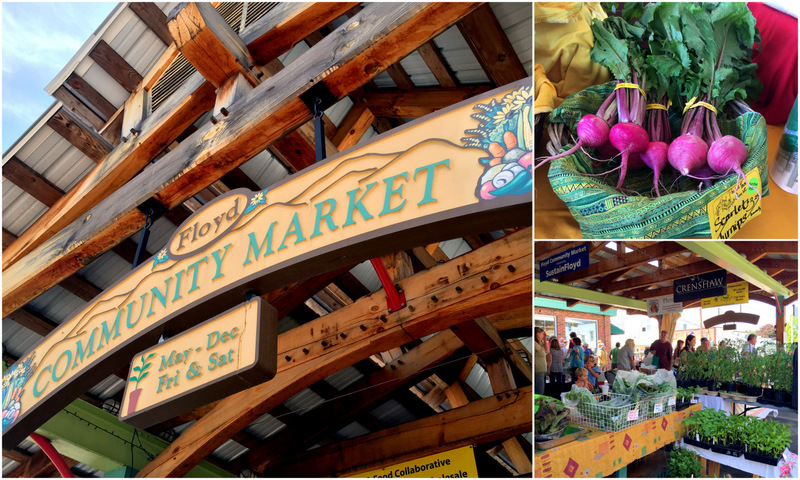 It usually means there are interesting shops, an attitude of caring about the community, and a great farmers market! Hi! I’ve been reading a while but never commented before. I grew up in Boones Mill/Roanoke which is very near to you there, and one thing I learned is that you do NOT want to take a trailer or anything towed up or especially down Bent Mountain – it’s steep, full of switchbacks and hairpins, very difficult and hard on the brakes of normal vehicles, so could be dangerous with a trailer! I burned up several sets of brakes when I used to live in the area and visited friends up there on the weekends. Beautiful country though, and Floyd is a nice town! Hmm…I think we drove that road with the trailer in tow when we left the park and headed north to Roanoke. It did have some steep grades and sharp turns, but nothing worse then what we encountered during our last two summers driving around the mountains of Colorado. Taking it slow in slow in a low gear seemed to work fine for us. Although, I can see why those with bigger RVs or trailers might not enjoy it! Hi Mike this is Carolyn Hunter a member of Virginia Highland Haven. 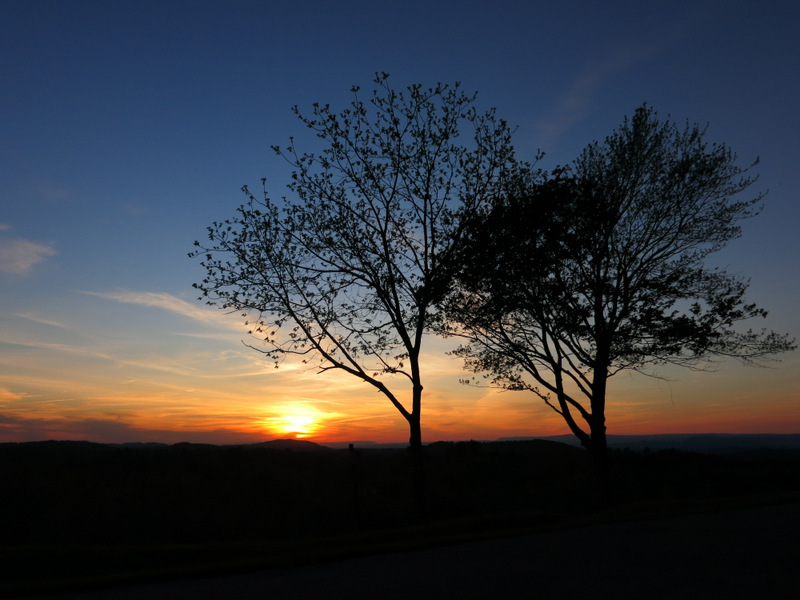 You are absolutely correct about Bent Mountain which is why we direct lol,our friends and visitors to come to our lovely park via the Blue Ridge. Love your blog. We’ve been full-timing for a year now and spent 9 days at Highland Haven last June on our way up the Blue Ridge Parkway. We loved that place. The people there are so kind. You can read about our experience at http://barefootdog.com/?m=201406&paged=6 and http://barefootdog.com/?m=201406&paged=4. So glad you enjoyed your stay at Highland Haven. It is a very special place indeed. Am looking forward to reading about more of your adventures. Travel safe and have a wonderful journey. Thanks Susan. And thanks again for sharing so much info about the park and surrounding area with us! Thank you Carolyn! We hope to make it back again someday. Now that I’ve met you, I can TOTALLY hear this story in your voice. Makes it that much more awesome. :) So happy to have met you both, and I can’t wait for our paths to cross again! Ha! You’re not the first person to say that. So happy we got to spend the week with you guys, and looking forward to seeing you again this winter! And that is just a tiny taste of the great hiking in the area! We are so hitting Floyd next year. Yes! It’s a must visit. What a neat area! I would love to see that park full of shiny Airstreams. Not sure when we might be back out east but this area certainly seems like a place to consider spending some time. We went for the park, with no idea how cool the surrounding area was. It would definitely a great area to explore next time you make it east. Yep, we also like towns with a “hippie vibe” — that’s why Ashland is our home town. It’s fun discovering many other towns with a similar vibe in our journeys. Thanks to you, Floyd is on our list for next spring. Looks like you had a blast! I’d love hearing the musicians jamming in the streets. You’re going to love Floyd! The street jam was my favorite. Fascinated to hear that you ended up in Floyd. For some time I’ve followed Fred First’s thoughtful blog, Fragments from Floyd. He must be one of those hippies living in the hills nearby.